Gosnells job seeker Rebecca came to ESG MatchWorks in July 2017 determined to find employment with a resume already prepared and a positive attitude. She met with ESG MatchWorks team member Sarah Davidson and explained she had been constantly seeking ways to improve her job opportunities and life for her family by applying for and completing study. 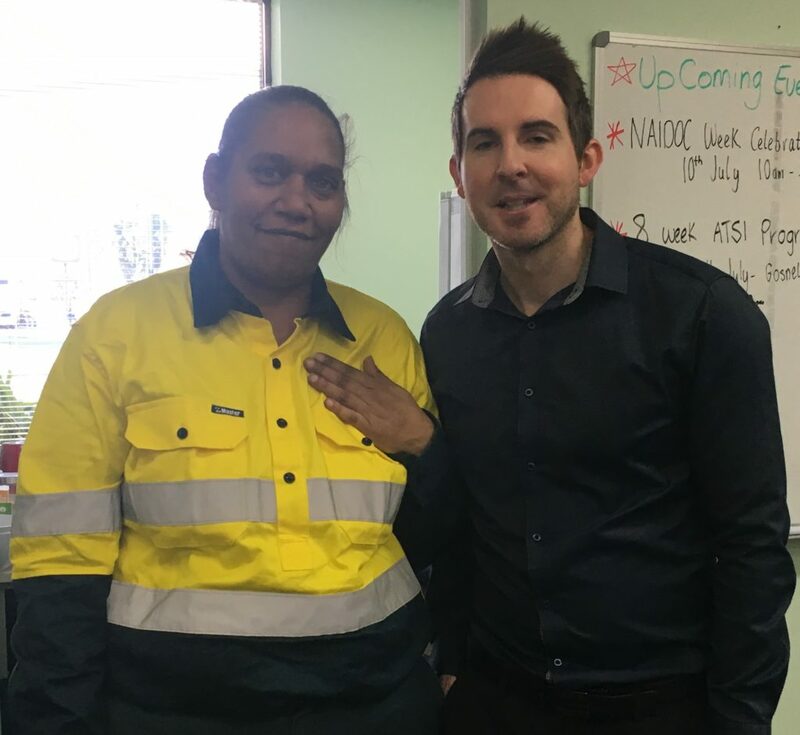 In 2018, Rebecca completed the following training: Back to Work for motivational coaching, Certificate III in Community Services and enrolled in Linkforce Engineering training at the Workforce Training Centre. Rebecca and ESG MatchWorks Gosnells Site Manager Brendan Travers. “The Linkforce training started every morning at 7am in rain, hail or shine. Rebecca started her day waking up at 4am making sure that her two young daughters had everything ready for school and that her elderly mother also had everything she needed for the day ahead,” Sarah said. “Rebecca had to catch a bus, two trains and complete a 3-kilometre walk to the training centre. It was a very wet and cold winter throughout the entire four weeks of Rebecca’s training and not once did she miss training or complain. She just got on with the job and what she had to do. Rebecca shared the excitement of her graduation with her classmates, family, trainers and the management team from Linkforce at the Workforce Training Centre on June 8, 2018 and was offered employment as a Riggers Offsider. Sarah dropped Rebecca at the airport to fly out to the Newman, Western Australia mine site for her first working trip with Linkforce in early July. 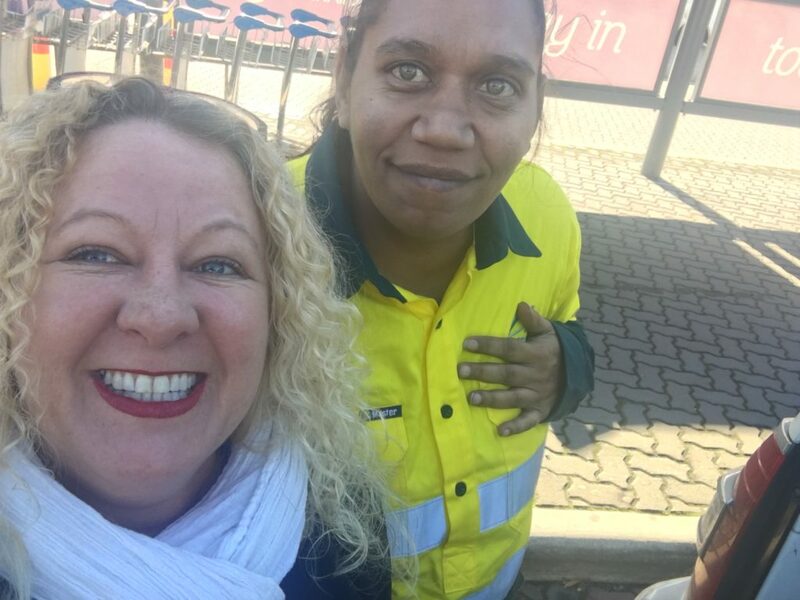 “Rebecca has had to overcome various barriers of diversity/stereotype in her own family and community for choosing to work in a non-traditional female role in the mining industry,” Sarah said.